So why is it that switching genres can produce such a strong reaction? You’d think you were announcing to your family that you were switching teams. (If you’re a Seinfeld fan you’ll be following my analogy, but if you’re a little lost, here’s the missing piece of the puzzle: the characters in Seinfeld used to talk about people “batting for the other team”, which meant they were gay rather than heterosexual. And, as you’ve probably guessed, switching teams means changing sexual orientation.) So…. Why does something as seemingly small and insignificant as switching genres produce a jaw-dropping reaction? I mean, it’s just a genre, right? A story is a story. Right? Well, it’s actually more complex than that. At this point, I should come clean. I’m a chronic genre switcher. (Although you wouldn’t know it by looking at my published novels – on the surface I appear to be a mystery novelist firmly entrenched in the police procedural/forensic thriller zone.) However, I DO believe a story is a story and I often get story ideas for a range of genres. For example, before getting published I wrote two children’s fantasy novels (which remain unpublished). Then for my third book I was deciding between three different ideas, all in different genres! I had one crime fiction, one action/espionage thriller and one mainstream women’s fiction. 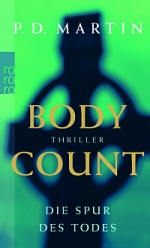 In the end, as you may have guessed, I chose the crime fiction story and wrote what became my first published novel, Body Count. But the other novels and ideas have stayed with me, as well as new ideas. Another example…I’m a bit of a closet vampire fiction fan (I know, big confession) and after I’d written three Sophie books I wanted to write a vampire fiction book. But my agent convinced me to stay focused on crime, and Sophie. Why upset the apple cart? What about my first two children’s books? People often assume it would be easy to get them published now that I’m a published author. To a certain extent the first books an author writes tend to be learning experiences, a way for them to refine their craft. Having said that, I still believe in one of my children’s books; I believe the writing is good enough. Problem is, it’s a different genre. Publishers and agents think of an author’s name as a brand. Promote the brand and keep the brand ‘strong’ by ensuring the author’s name is synonymous with a certain type of book. ‘P.D. Martin’ is crime fiction/mysteries/thrillers. And obviously I wouldn’t want to bring out a children’s novel under the same name anyway because I definitely wouldn’t want 8-12 year olds who enjoyed my fantasy novels to pick up one of my crime books! So why not publish under a different name? It’s all about time and focus. After all, if you go and write a romance novel or a children’s fantasy series, that’s going to take time away from the mysteries, right? Basically, your agent and publisher(s) try to convince you to focus on writing in your current genre and at least one book a year. It seems that’s the magical formula in publishing. Of course, genre hopping can be more easily done if you can write two books a year – then you’d still be bringing out one book a year in each series. I’ve scrapped the children’s fantasy novels, at least for now. But I still want/wanted to do something different. After five Sophie novels and one ebook novella, I went back to my action thriller idea and I’ve just finished writing that book. While it is very different to my Sophie Anderson series, crime fiction and action thrillers aren’t SO different that my new one couldn’t be a ‘P.D. Martin book’. At least, I think it’s okay. Of course, there are authors who have successfully crossed the divide. One that comes to mind is Nora Roberts. She started off with straight romance novels and then moved on to romantic suspense, writing as J.D. Robb. Although, interestingly, the books bear both of her names, with the byline “Nora Roberts writing as J.D. Robb”. I also noticed from Wikipedia that she’d always wanted to write romantic suspense but was persuaded by her agent to stay focused on romance until she built a following. In fact, it was over 10 years before she finally got her wish to write romantic suspense and it was partly in response to her prolific output. Scottish author Val McDermid also has a series she writes under V.L. McDermid. However, the rationale is not genre-based because all her books are mysteries. Rather, her V.L. 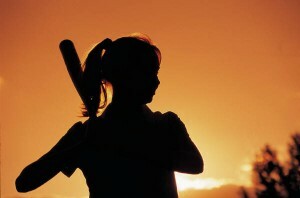 books feature a lesbian protagonist (batting for the other team), while her Val books are considered more ‘mainstream’. Murderati’s own Tess Gerritsen is another example of an author who successfully switched genres. She started with romantic thrillers and then moved to medical thrillers, then crime thrillers. Interestingly, she HAS written all her novels using the same name and said when she changed from romantic thrillers to medical thrillers she considered releasing them under a different name but ultimately decided against it. Tess sees advantages and disadvantages. When she switched genres, she felt that she’d built up an audience and didn’t want to lose them. However, she says the romance novels continue to annoy her purist thriller readers. “But in the long run, I think it’s been good for sales,” Tess said. Another author who’s shifted genres but all within the same ‘brand’/same name is Philippa Gregory. Probably most well known for historical fiction she’s also written thrillers and her Amazon bio describes her as the pioneer of “fictional biography”. The Other Boleyn Girl is a well-known example. So do you like your authors to keep their genres straight up? And the writers out there…are you closet genre-switchers like me? Here’s the thing…this week I found myself getting into the hype surrounding the wedding, the wedding of Prince William and Kate Middleton (unlike Cordelia’s post yesterday, I am going there!). There…I’ve said it. I have publicly confessed! But why was I suddenly so intrigued in the few days before the wedding? What is it about this ‘story’ that captures our attention? At this stage, I’d like to point out that although I’m an Aussie and therefore officially part of the Commonwealth, I would prefer it if Australia was a republic. In other words, I’m definitely NOT a monarchist. I also do NOT have a fascination with the royals. In fact, I really don’t care what they do and don’t do in their daily lives. I certainly never read the tabloids, nor am I into royal fashion. And while I’m not a tom-boy, I’m certainly no girly-girl either. So I was only vaguely interested in what the dress might look like. Despite all this, somehow the story of the ‘commoner’ Kate Middleton marrying a prince…well, it was making my heart flutter! Yup, there’s the second confession of this blog. I was totally into the hype and my heart was fluttering before the wedding even started. Despite these confessions, in NO way do I take responsibility for what I was feeling. Instead, I blame my daughter. It’s because of her that I was swept up in the romanticism of an average girl marrying a prince. My daughter may only be four, but she’s got a lot to answer for! About six months ago, I first read her the tale of Cinderella. As a woman today, this fairytale (and many others) does unsettle me a little. Will my daughter be waiting for a man to sweep her off her feet or rescue her like the fairytales? I know chivalry isn’t dead, but it is on the decline. And the idea of a man falling in love with a woman he dances with for a couple of hours and then marrying her as soon as he finds her? Mmm…I guess that’s why they call it a fairytale. Don’t get me wrong, I am an optimist and my husband and I met, fell in love, and got married very quickly, so I know it’s possible to feel like it was meant to be, like it was out of a fairy tale. But still…Cinderella? One night? Anyway, just about every night for the past six months Grace has pleaded for Cinderella as her bedtime story. See…it’s not my fault I was intrigued by the wedding! The Cinderella story has been rammed into my brain just about every night for the past six months. Who wouldn’t succumb? And that’s what I told myself when I switched on the TV at 7.30pm Aussie time and watched the wedding. Cinderella is a powerful story – and I think that’s the other reason I got caught up in the wedding mania this week. It’s weathered the storm of time (don’t you just love that expression) and it’s had many new twists. According to Wikipedia (all hail Wikipedia!) the roots of Cinderella may be in 1BC, and in the story of a girl called Rhodopis who lived in Ancient Egypt. In that story, an eagle snatched one of Rhodopis’s sandals and carried it to Memphis, dropping it on the King. The King was so taken by the sandal and the fact that it had been delivered by an eagle, that he ordered the girl to be found and brought to Memphis to become his wife. Yup, that sounds like Cinderella, doesn’t it? We have the shoe. There’s also a version that’s been found from 860(AD) China. It’s called Ye Xien, and in that story a young woman befriends a magical fish that is the reincarnation of her mother, who was murdered by her stepmother. She loses a slipper after leaving a festival and guess who finds it? The king, of course! He falls in love and I think you know the rest. So now we have the wicked stepmother. And is the fish effectively the girl’s fairy godmother? There are also aspects of the Cinderella story in Arabian Nights, and in the story of Cordelia from pre-Roman Britain (around 55BC). Both of these tales feature jealous siblings. A more recent similarity can be found in the 1634 tale of Cenerentola. This story had a wicked stepmother and stepsisters (plus the slipper and the King searching for its owner). So now we have the stepsisters. And it was in 1697 that the Frenchman Charles Perrault added in the pumpkin, fairy godmother and the glass slippers. If this Cinderella history has you intrigued, check it out on Wikipedia (even if it’s purely to justify why you watched the royal wedding). There have also been many modern day twists on the Cinderella fairy tale. There are far too many to list here, but a few come to mind. Pretty Woman was deconstructed by many as a modern Cinderella story (even though many elements were missing). And then there was Ever After (starring Drew Barrymore) and Happily N’Ever After (a retelling of the story from the point of view of one of the royal servants who’s in love with Cinderella). And in terms of the power of the Cinderella story, we also have the theory that the Cinderella tale is one of the ‘base’ plot lines, a story arc that many modern books and movies follow in some way. So what does all this mean? Simply this: If you watched the royal wedding, rest assured it wasn’t your fault – you were wooed by the historic power of the Cinderella fairytale. We’re all excused. And yes, the kiss was short but at least there were two of them. I clapped excitedly both times (confession number three), just like my four year old. Did you?